New Delhi: Three years after India enacted a transparency law, it is still not effectively used by villagers at a time government spending in rural projects is not properly accounted for, say activists and policymakers. “There is a need more than ever for the RTI (Right to Information Act) to become a success in rural areas," said T.R. Raghunandan, joint secretary in the panchayati raj ministry, which oversees local governance. “About 70% of the money spent on Central government schemes routed through panchayats (village councils) are not accounted for properly." The government has spent at least Rs1.2 trillion in four years, Raghunandan told participants of a seminar that discussed the progress of the legislation here this week. Some 26,500 panchayats spent Rs30-40 lakh each in the last fiscal year to March, he pointed out. Aruna Roy, Magasaysay award winner and a founder of the RTI movement in India, said when it comes to transparency and accountability, villages are neglected by the Centre. “The government has not bothered to even publicize the Act through media campaigns," she said, adding that the government must set up a governing council to implement the RTI Act on the lines of the supervisory body set up for its flagship welfare programme, National Rural Employment Guarantee Scheme that ensures 100 days of work a year for the rural poor. “There has to be a team of eminent people who will go to the field and ensure that the panchayats and other local bodies at the lower tiers are disseminating information," she said. “Applications are not maintained in any other office (such as panchayats and block development offices) except for the district collector’s (office) and the people designated to handle these are untrained," Raghunandan said. The RTI Act requires all government departments to publish information under their purview on their websites. However, none of the panchayats have made any such disclosures, Roy said. Dileep Reddy, a state information commissioner in Andhra Pradesh, stressed on the need to appoint qualified personnel to man the RTI units at panchayats. “Village secretaries are also supposed to assume the role of information officers (in each panchayat) under the RTI Act," Reddy said. “But in Andhra Pradesh, we have noticed that in many villages, the sarpanchs (village headmen) have usurped the role of information officers, which is against the law." 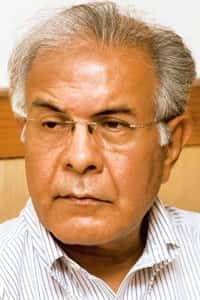 India’s chief information commissioner Wajahat Habibullah said the commission is planning to work with the information and communications ministries to improve online filing of information by panchayats. “We will definitely work towards full disclosures by all government bodies including panchayats as stipulated by the Act," he said.